21.4" x 43.7" stitched on 14 count. 16.7" x 34.0" stitched on 18 count. Ladybug Magic Alphabet cross stitch pattern... Sprinkle a little bit of magic into your life by stitching this cute ladybug design. 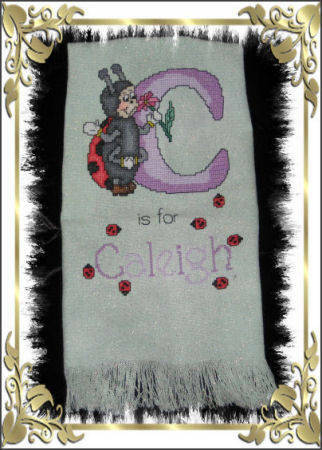 Complete with initials, low case and high case alphabets for spelling the name of your choice.